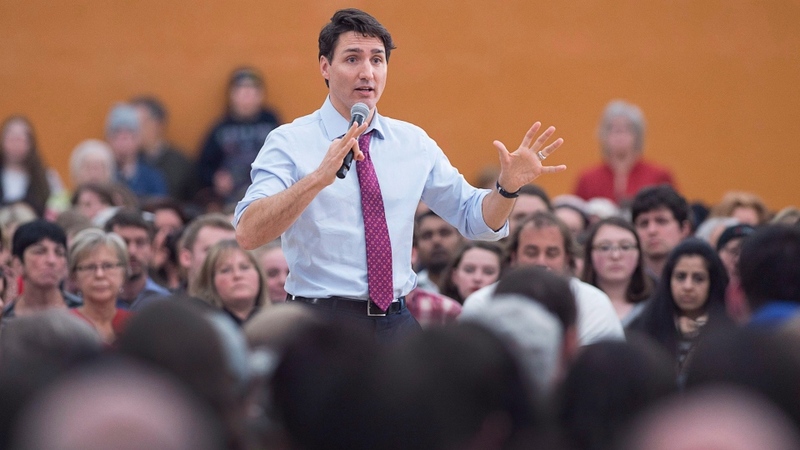 Prime minister holds town hall meeting with residents in Lower Sackville, N.S. 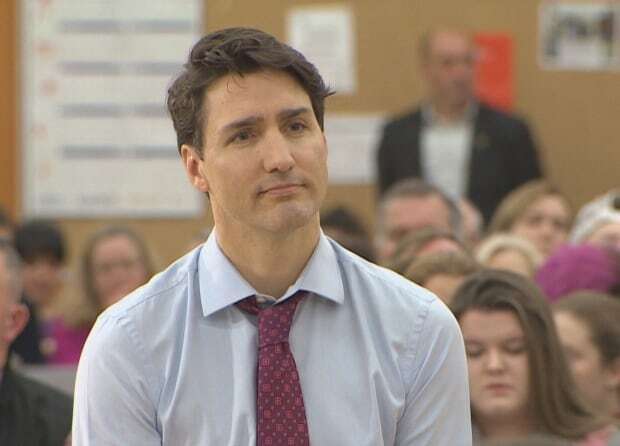 A Nova Scotia activist and mother of a nine-year-old boy with severe autism asked Prime Minister Justin Trudeau about his government's stance on setting up a national autism strategy during his town hall meeting in Lower Sackville, N.S., Tuesday evening. Carly Sutherland's son, Callum suffers from violently aggressive fits. She has said she can't hug or touch her son. She said he screams and punches holes in the wall all day. She has been advocating for nationwide, standardized support for people with autism, making up for aspects of care that are not paid for by the provinces. "Families like mine should not have to subsidize health care and education for their disabled children," Sutherland told Trudeau. "This is a fundamental human rights issue." Trudeau said while education and health-care delivery "are very much a responsibility for the provinces," there's more the federal government could be doing in terms of "the research side, on the advocacy side, on the support side." Ottawa is investing "significant amounts of money" in autism research at the Canadian Institute for Health Research, he said. "I can't imagine how difficult things must be for you," he said. "This is something so many families across this country face in dealing with autism spectrum disorder and it's something we all have to do a better job working together to address." Sutherland has been working to make changes in Nova Scotia to help families in similar situations. She held a press conference at the provincial legislature in November asking the government to take action, and has written a letter to the premier and other ministers outlining what her life has been like living without the proper supports. </div>Ahead of the the town hall meeting, Sutherland told CBC Radio's Maritime Noon autism is a federal issue. "There's no cohesive leadership to set policy on how we deal with our assistance with autism," she said. While a national strategy "will probably be too late for Callum," Sutherland said it could be helpful to other families. "We need improved educational options for our children, we need evidence-based therapies to be provided. Families should not be subsidizing these kinds of costs. Right across the board it's a really desperate situation," she said. Ahead of the meeting, Trudeau defended axing electoral reform. Trudeau told CBC Radio's Information Morning that proportional representation was a "potential threat to the country" that "would have been damaging to our stability." "My responsibility as prime minister is to make sure that I'm doing things that help the country," he said. "And moving towards proportional representation, as a few people wanted, would have been damaging to our stability, to our electoral system. And when it was obvious that that was really something that was a potential threat to the country, I decided that instead of ticking off an electoral box, I was going to stay focused on the things that actually matter." In the lead-up to the 2015 election, Trudeau vowed that a Liberal government would ensure a new electoral system was in place for the next federal vote, but he later backed down from that pledge. Trudeau said he has "always been very open" to the idea of a ranked ballot, where voters mark their first, second and subsequent choices. "But when it was obvious that there was a whole bunch of a very strongly vocal but very much a minority of Canadians who were going to accept nothing else but proportional representation, which I think would be bad for the country, and I've always said that, it was obvious there was no path forward," he said. During the five-minute interview, Trudeau also addressed his government's apparent slowness in passing bills. The Liberal government has passed 34 bills during its first two years in power, compared with the former Conservative government's 61 during the first two years of its most recent mandate. "If people actually compare the impact of what we've done with what the previous government actually got done, people are really feeling the difference," Trudeau said. As examples, he cited lowering taxes for the middle class and raising taxes for the wealthiest Canadians, strengthening the Canada Pension Plan, increasing the guaranteed income supplement for seniors and reducing poverty through the Canada Child Benefit. "We've done really, really big things, and we've done them in ways that respect Parliament, that have a more independent Senate, that yes, perhaps pose certain challenges in terms of the pace of things through the House, but the size of the things we've done have made a deep and lasting impact in the opportunities that Canadians and their families have. A Nova Scotia mother forced to quit her job to care for her son because of his violent outbursts called on Prime Minister Justin Trudeau to fix Canada’s “fragmented system” of supports for children with autism. Trudeau visited a high school in the Halifax suburb of Lower Sackville on Tuesday. 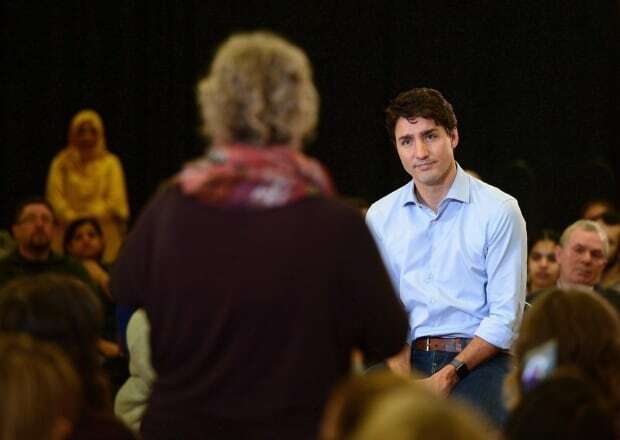 It was Trudeau’s first stop on a Canada-wide series of town hall meetings, touted by the prime minister as an opportunity for Canadians to challenge him on issues. One of the first questions came from Carly Sutherland, who shared her story with Trudeau. Her 9-year-old son, Callum, is so severely impacted by autism that he often lashes out in violence. Sutherland had to quit her job to oversee his care, and friends crowdfunded money to help her and her husband keep their house. Carly Sutherland called on the federal government to commit to a national strategy to help Canadian families of children with autism. At the moment, supports for children with autism vary drastically from province to province. For example, in Ontario, children with autism receive behavioural support until they’re 18. In Nova Scotia, that assistance ends at the age of six. “How does your government plan to address this crisis, and where do they stand on a national autism strategy?” she asked. Trudeau said the federal government invests “significant amounts of money” into the Canadian Institute for Health Research, which supports autism research, and that health care delivery comes down to the provinces. “I look forward to continuing to work with groups and families like yours across the country to give you the kind of support you need, and you can have, to ensure that Callum has a great future and opportunities, while giving you the proper respite as well,” he said. In an interview with CTV’s Power Play earlier Tuesday, Sutherland explained that her son’s behaviour hasn’t always been violent. The outbursts began last summer when Sutherland and her husband noticed that Callum, 9, began struggling to communicate. Her child’s behaviour, which included kicking, punching, head-butting and biting, escalated to the point that his school called 911. Callum then spent six weeks at the IWK Children's Hospital. “I can’t go near him without a support person present. He physically assaults me when I come near him. He punches holes in his walls. I used to say we took it day by day, but now we’re really just taking it minute by minute,” Sutherland said. Without provincial dollars for the behavioural support workers her son desperately needs, Sutherland relies on respite funding from Nova Scotia’s community services to help offset the costs. The cost of caring for Callum far exceeds those supports. “Traditionally, respite would be, here’s some money, hire somebody to take your child to the playground or the pool for a couple of hours so you can put your feet up. Callum’s behaviour is so severe that he’s not able to participate in any of those activities,” she said. The solution, according to Sutherland, would be for the federal government to step in and build a national strategy for supporting children with autism. She also wants to see the government reallocate money for autism research to aid for families, such as money for behavioural support workers. For the moment, every province and territory is “working in silos,” Sutherland said. “The federal government is investing some money in research, but research is not really helping families on the ground, like mine, who desperately need help yesterday,” she said. The report, titled “Pay Now or Pay Later,” called on the federal government to establish a national autism strategy. Eleven years later, Sutherland says she’s waiting for action. 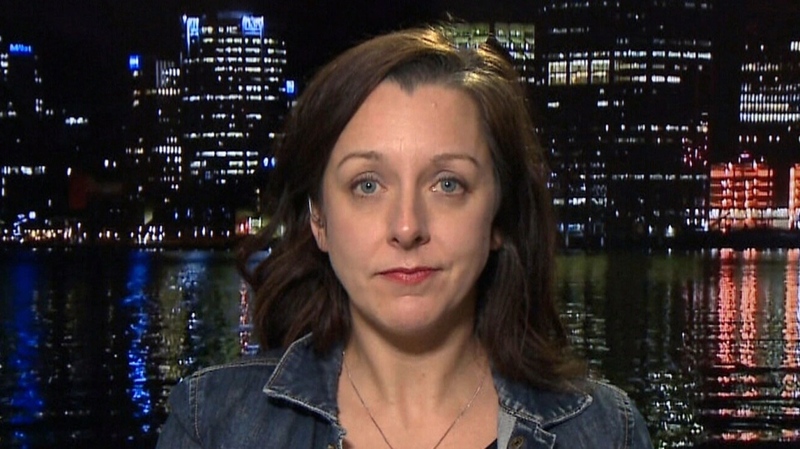 “We need to establish a policy, we need to establish best practices, and we need to demand that children in need receive those supports, because those children and their families should not have to live this way,” she told CTV’s Power Play, adding that the problem has become “a human rights issue” in Canada.